Please help and support the Anarchist Speaking Tour on Popular Power in Chile. They currently need assistance with tour expenses (about $5,000 dollars) and are seeking for contributions. Therefore, we would appreciate it if you provide donations of any amount in order to help create a successful tour. * We are reposting one of the web pages of STRUGGLING TO WIN: ANARCHISTS BUILDING POPULAR POWER IN CHILE in order to provide more information of the US Tour and share the biographies of the speakers. 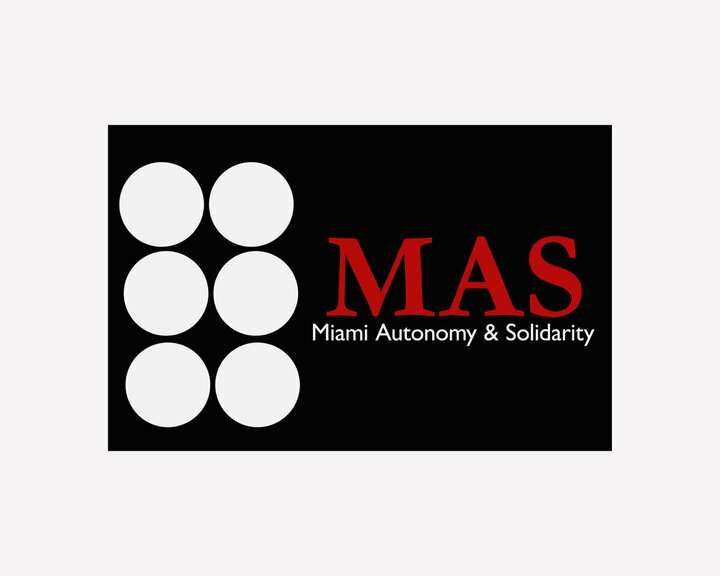 We hope this will encourage individuals, not only in Miami, but all over the country to attend the various events being held in different cities. Tour dates and contact information are also provided in the website as well. 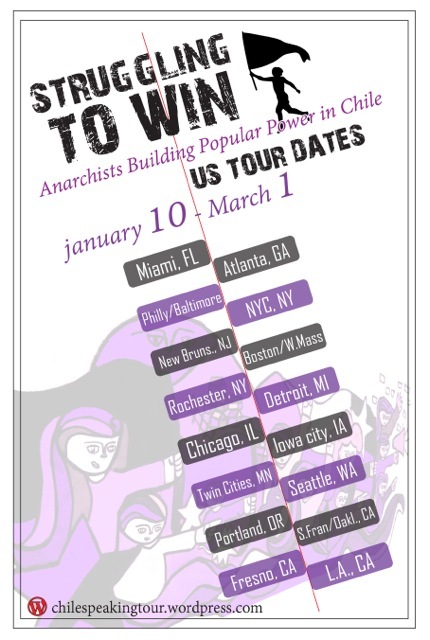 We are hosting an event for STRUGGLING TO WIN: ANARCHISTS BUILDING POPULAR POWER IN CHILE US Tour in Miami,FL. It will be held at Veye-Yo in January 11, 2014 from 4:00 p.m. to 6:00 p.m. Chilean Anarchist speakers, Pablo and Gabriel, will discuss about their experience in building popular power in Chile such as being involved in student, education, feminist, and labor movements. The speakers will present on their political experience and current social movements in Chile as well as do a Q&A session for attendees.